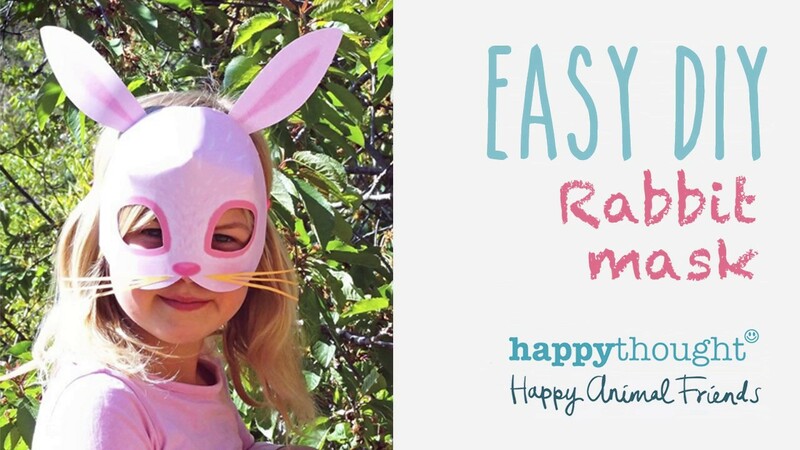 Be a bunny in 5 minutes - Try our easy bunny mask template + simple step-by-step video tutorial! Bunny mask, bunny mask, oh what fun! 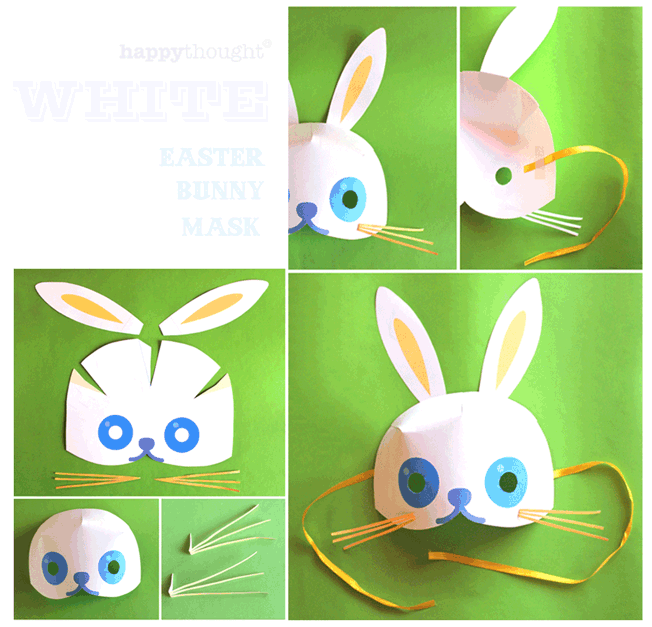 Have some bunny fun with Happythought’s easy rabbit mask template. Your download PDF also includes a black and white rabbit mask template to color in, plus a rabbit fact sheet and coloring page. 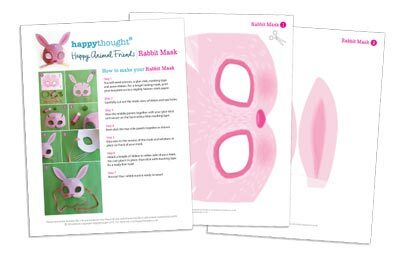 You can use the bunny mask worksheets in class at Easter or as a fun class project for holidays. 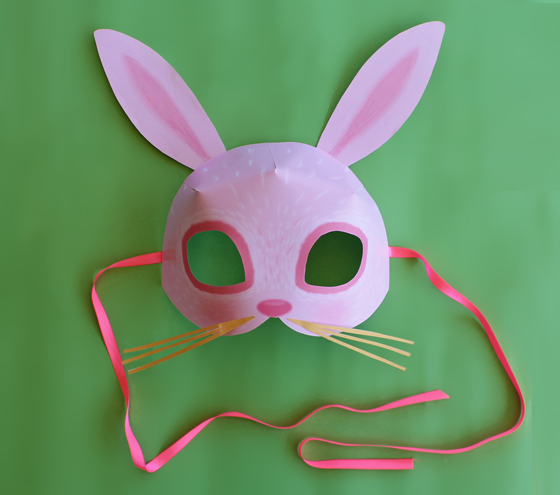 Follow our video tutorial below and make your own rabbit mask in no time! 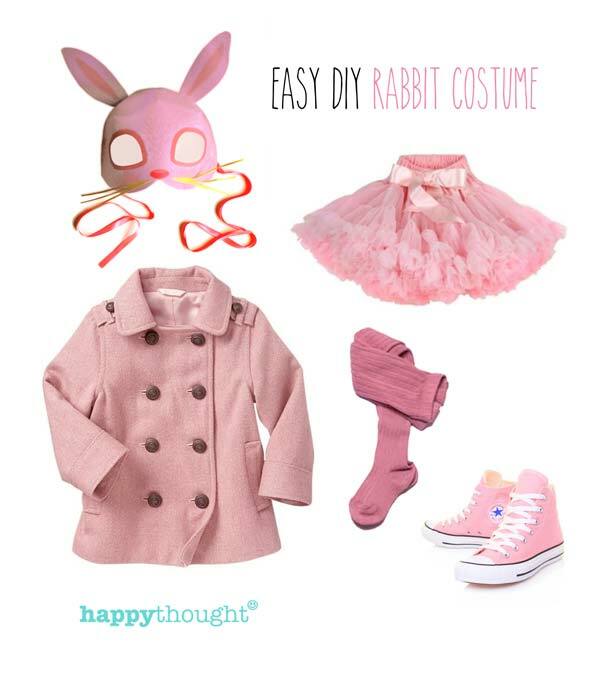 Make your own bunny mask and outfit in 20 mins! 1. A group of burrows is known as a warren. 3. Rabbits are herbivores (plant eaters). 5. A rabbit’s foot is believed to bring good luck. 2. Rabbits live in North America. Southwestern Europe, Southeast Asia, Sumatara, parts of Japan, Africa and South America. 6. Rabbits are born without their fur and eyes closed. 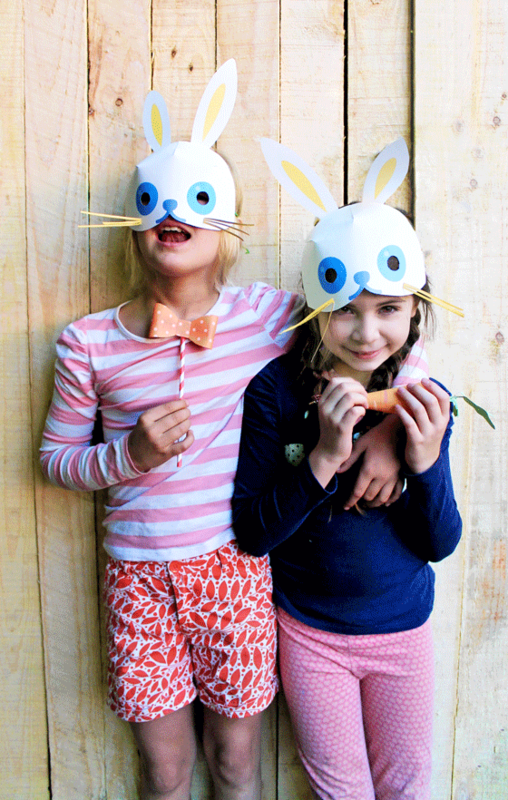 Watch step-by-step DIY bunny mask video on making your own rabbit mask. 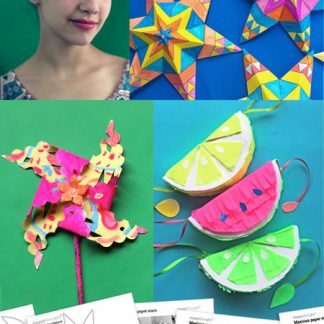 Mask templates to download and print at home. 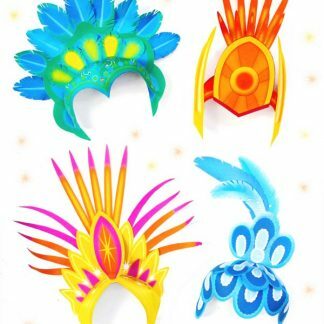 Perfect for party outfits + costumes. 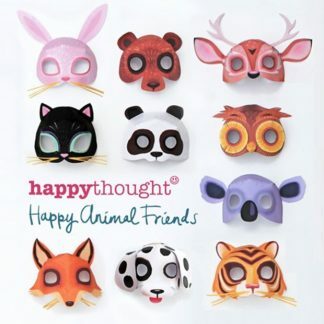 You can buy our all the Happythought Printable Animal Masks set here! 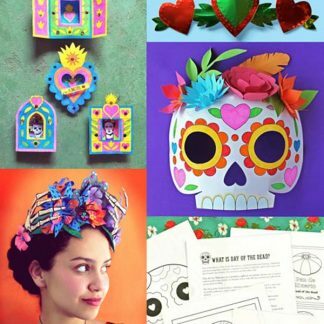 Includes B&W masks to color in, plus animal activity fact sheets. 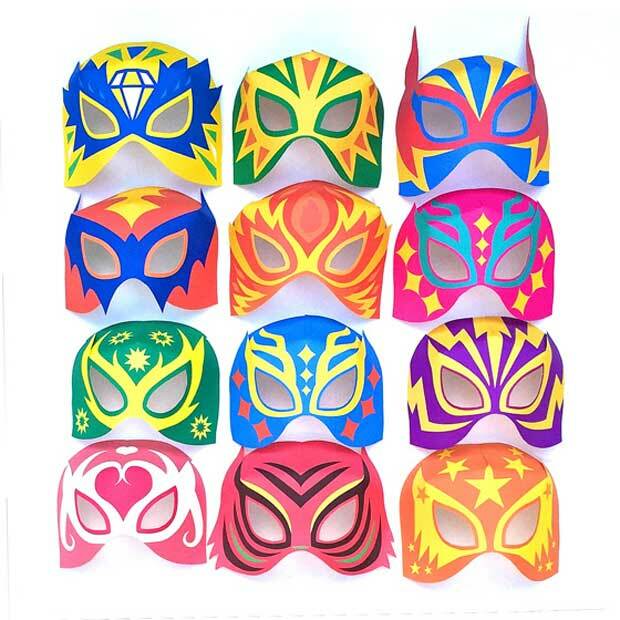 The animal mask set features10 animals to dress up as: Bear, Panda, Cat, Dog, Owl, Tiger. Fox, Rabbit, Koala, and a Deer. 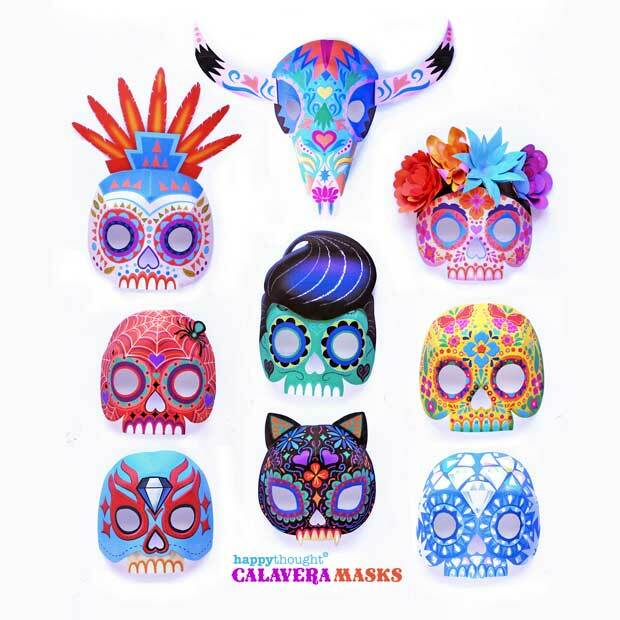 If you have time download our fox mask or our cyborg mask. 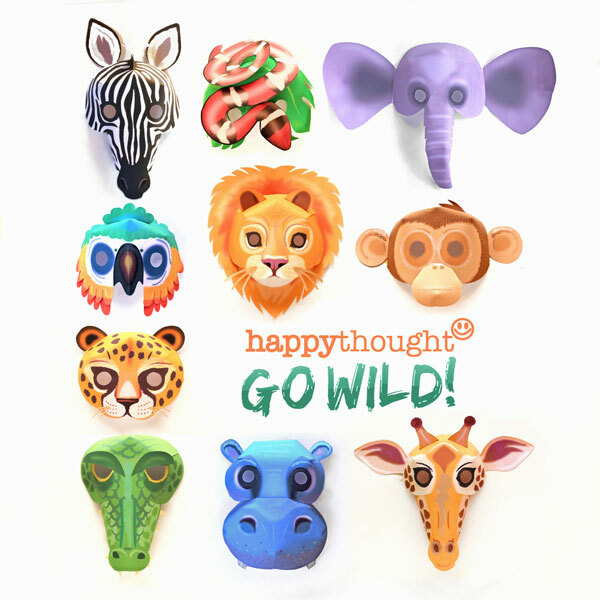 These Happythought masks are to part of our popular Halloween and Animal mask packs.. We are sure you will be pleased with results. 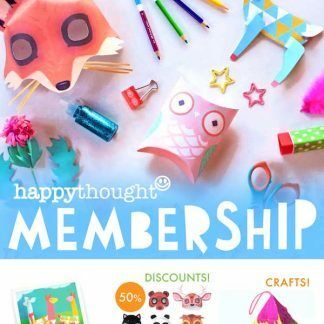 All Mask sets 50% OFF to members! 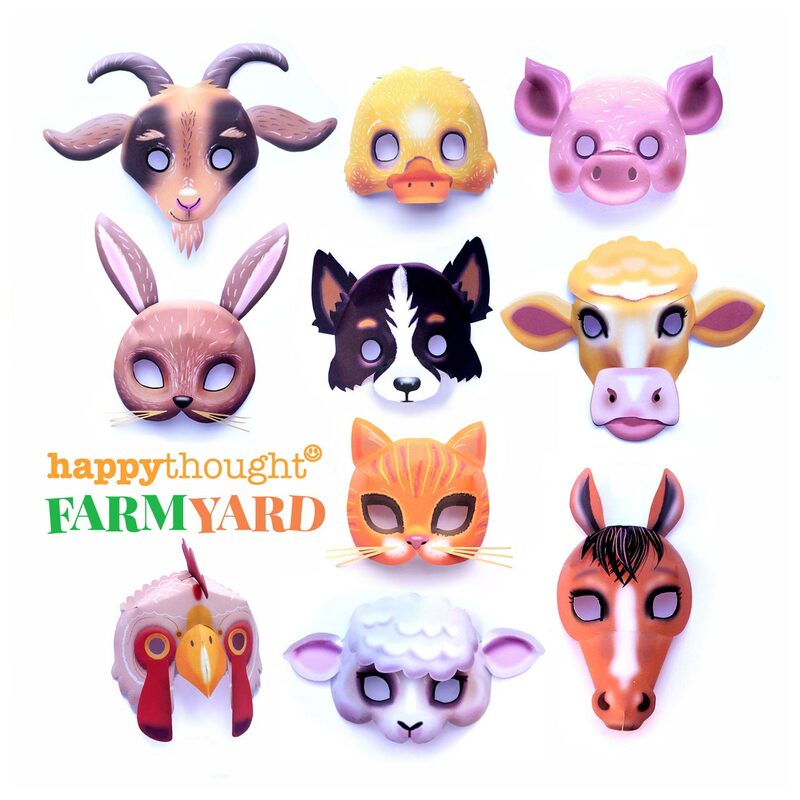 We hope you enjoy our Happy Animal bunny mask activities and pages! 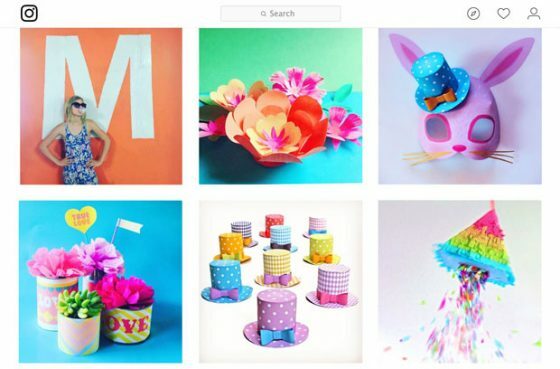 If so, please give us a little love; by liking us on facebook, pinning us on pinterest or following us on twitter. Thank you! I love your DIY homemade bunny mask costume!